Patrick Barkham sets out on a journey to some of the small islands of Britain, drawn by the story of the, near forgotten writer, Compton Mackenzie, who owned and lived on a series of small islands from the 1890’s. Each island conjures up a different story which Barkham tackles with sensitivity. From island as tax haven, to island as religious retreat, to island as hedonist party zone he travels with a light touch and captures something true about each destination. On the Island of Eigg, where I spent several weeks working last year, he navigates the choppy waters between the idealists who go there drawn by its environmental credentials and the determined drinkers who congregate at the pier and snub drink driving regulations. He understands instinctively, as maybe I didn’t, that small island life requires people to rub along together and forgive a multitude of personality quirks. The book raises interesting questions as to the benefits island communities bring to the mainlanders who often heavily subsidise them and suggests that islands provide a pointer to the future as they champion sustainability, community and local heritage which provides a healthy counter balance to fast paced cities with their excessive consumption and social isolation. Less successful, I felt, was the rendering of the story of Compton Mackenzie. Barkham chooses to visit islands which Mackenzie had no relationship with and ultimately doesn’t illuminate the artists draw to island life. The book I felt would have stood up just as well without this thread. For me, the strength of this book is its excellent travel writing about little known places and its insight into the lives of the quirky British characters who choose to live in remote places. I loved the tale of the sisters guarding the Tomb of the Eagles on South Ronaldsay and the nun in waders living a hermits life on Bardsey. I immediately added both these to my wish list of places to visit. Barkham sketches the people of these islands magnificently but touches something deeper when he comes to rest on a strip of saltmarsh off the Essex coast. Here he recounts how the island lingers after he has left, etching into his skin like a tree ring to tell a story of one moment in his life. 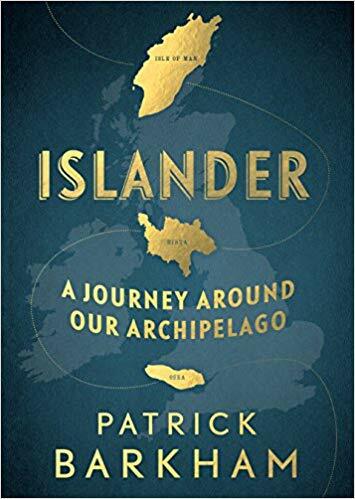 This entry was posted in Uncategorized and tagged A Good Read, Book review, ESSEX, island of Eigg, Islander A journey around our Archipelago, Islands, Patrick Barkham. Bookmark the permalink.